Angle, Critical. See Critical Angle. Angle, Mid. This is a term applied to a lens which, for a plate of the same size, has a focal length intermediate between the ordinary rapid rectilinear and the so-called wide-angle. 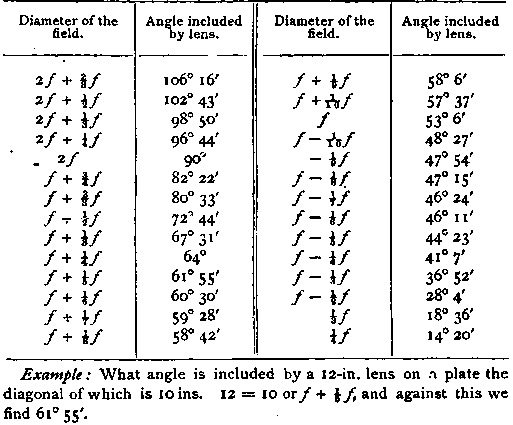 Soret's Tables of Angles included by a Lens.